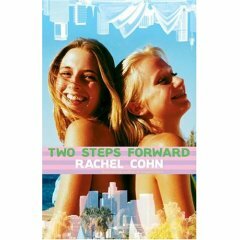 In this sequel to The Steps, Annabel and Lucy meet up in LA, where they are joined by heartthrob Ben and their ever-confusing family relationships. All of which get confused a bit further by their complex romantic relationships. The first book never captured my heart the way that Gingerbread did so reading a sequel was bound to be disappointing, but this book could really have used a list of the characters (the way that the original cover of The Steps had a diagram on it) to help keep the characters straight. More so, because so little actually happens in this book. Jumping from one character's POV to another helps sort things out a little bit, but this is mostly a book about kids getting angsty about doing stuff rather than actually doing it. If you like the characters, then this can be amusing, but there is little humor and less story here to capture your attention otherwise. I really need to read one of her books one of these days. Thanks for the review. Definitely catch Gingerbread. It's not only her best book but really funny and original.